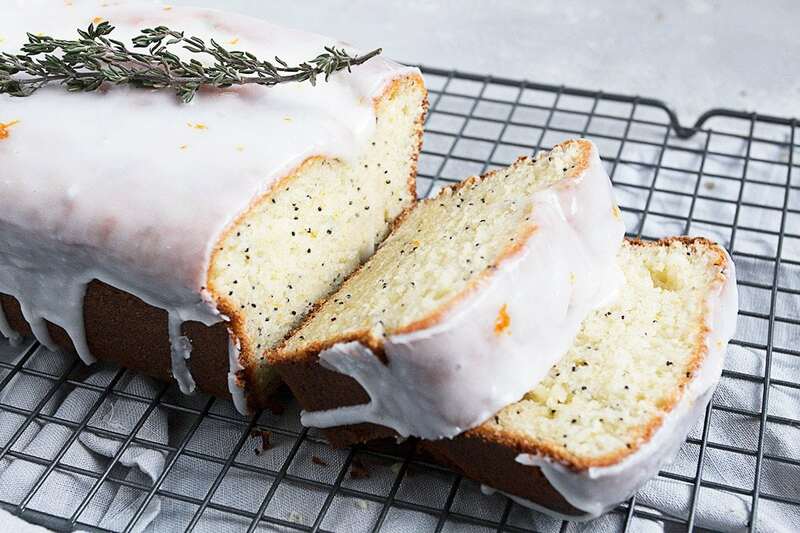 This Orange Poppy Seed Loaf is made with yogurt, so it’s lovely, light and moist. With poppy seeds and a yogurt glaze. When it comes to baking with citrus, I often think lemon first. I need to remind myself that oranges are also absolutely perfect for baking up something fresh and bright tasting. 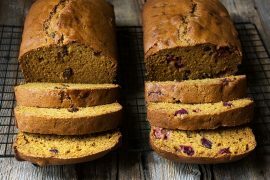 Oranges are in season now and just about any orange variety will work nicely in this Orange Poppy Seed Loaf. I used clementines here (always a sucker for those pretty clementines with the leaves attached :). Clementines produce a more mellow orange flavour. Use regular navel oranges for more of an orange punch or try blood oranges for a hit of pink along with the orange flavour. This loaf is light and lightly sweet, so it’s perfect to enjoy any time of day. If you just have regular (not Greek) plain yogurt around, go ahead and use it in the same quantities. 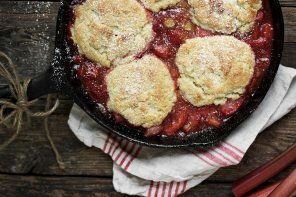 For the glaze, as the regular yogurt is thinner, you may need to add a touch more icing sugar. When it comes to baking with yogurt, I prefer using a full-fat version, for best results. Check Your Poppy Seeds! Poppy Seeds have high oil content, so they can and will go rancid over time. To maximize their shelf life, store in an airtight container of poppy seeds in the refrigerator, where they will keep well for 4-6 month or place them in the same container in the freezer for up to 1 year. 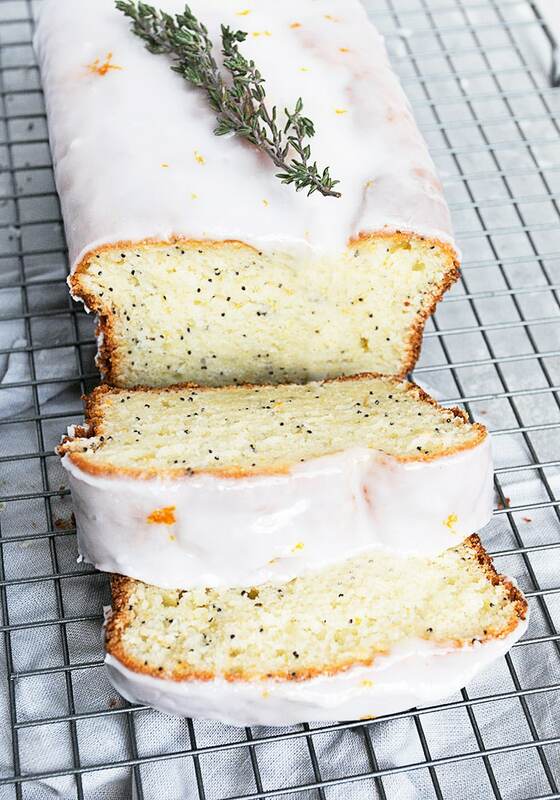 Light and lightly sweet orange loaf, with poppy seeds and a yogurt glaze. Use any type of orange you like! Preheat oven to 350F. Grease an 8x4-inch loaf pan and line with parchment paper, leaving an overhang of paper over the long sides. Set aside. In a large bowl with an electric mixer or the bowl of a stand mixer fitted with the paddle attachment, add the sugar and orange zest. Mix together on low speed for about 1 minute, until sugar becomes slightly moistened with the orange zest. Add the eggs, one at a time, beating well after each addition. Add the oil and vanilla and mix to combine. Add the flour mixture alternately with the yogurt, adding 1/2 the flour mixture first, then all the yogurt, and then the remaining flour. Add the orange juice and poppy seeds and mix to combine. Spoon batter into the prepared loaf pan and smooth top. Bake in preheated oven for 45-55 minutes, or until a tester inserted in the centre comes out clean. Remove loaf pan to a cooling rack. Using a long skewer, poke holes into the loaf, then brush top with 3 Tbsp orange juice. Let loaf sit in pan for 15 minutes, then run a knife around the outside and remove the loaf to a cooling rack to cool completely. Once cooled, prepare the glaze by combining the ingredients and mixing together until smooth. 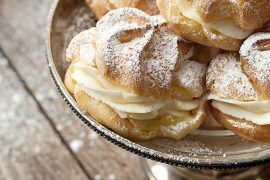 If necessary, add a bit more icing sugar or orange juice to thicken or thin the glaze as needed. The glaze should be thin enough to drip of the loaf, but not so thin it runs right off the loaf. Spoon glaze over cooled loaf and let stand until it sets. 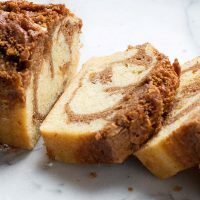 This Cinnamon Swirl Pound Cake Loaf is vanilla pound cake, combined with a cinnamon swirl and a crunchy brown sugar and cinnamon topping. 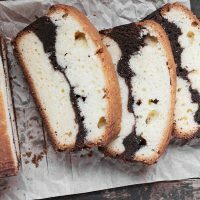 This delicious vanilla brownie pound cake loaf has the best of both worlds in one loaf! Delicious vanilla pound cake with a vein of brownie in the middle. 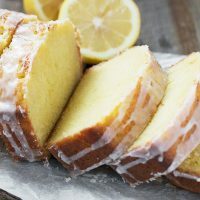 This delicious Glazed Lemon Pound Cake Loaf has been my go-to recipe for lemon loaf for years. 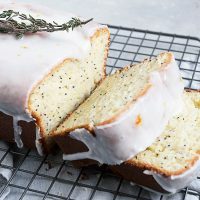 Perfectly moist and lemony! Hi! Loved this loaf! Wondering if you can swap the orange for lemon? Hi Casey and so glad you enjoyed it! Yes, you could use lemon instead, though I think I wouldn’t use 5 Tbsp of it in the loaf. My other lemon loaf uses about 2 Tbsp lemon juice plus maybe 1 Tbsp zest. You can just make up the extra liquid by adding a few tablespoons of water or milk to the batter. Thank you so much, Nancy :) So glad you enjoyed this loaf! DELICIOUS loaf! Used a blood orange so the loaf was darker than your photo & the glaze was a very pretty pink. My sister’s words were either “yum” or “so good”! This looks like one heck of a delicious and fluffy loaf, Jennifer! 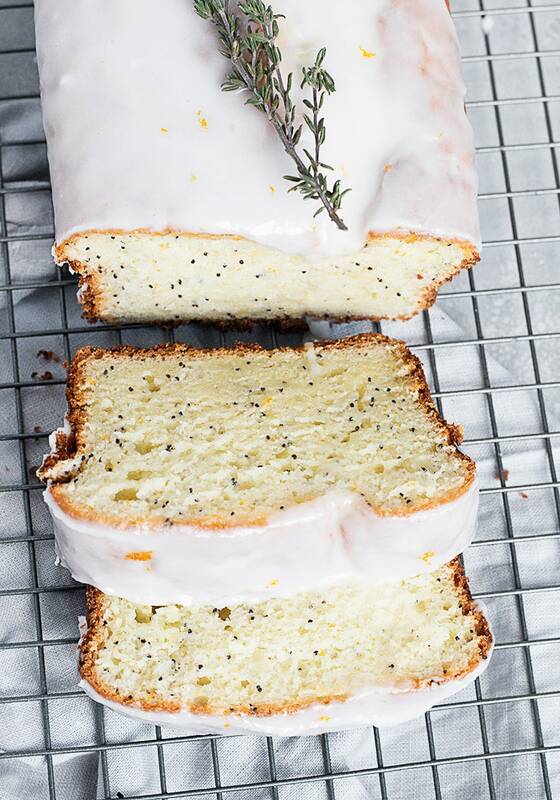 Love the orange poppy seed combo…great spin on lemon. Would so love a slice right now with my morning coffee :) Pinned! Gorgeous loaf, the glaze is so pretty! Love the change up to orange here Jennifer! Citrus season makes me happy in the dead of winter. Perfect with my morning tea or coffee! I am all about oranges right now and with all this cold weather, this loaf couldn’t have come at a better time for me! It’s just gorgeous, not to mention it looks absolutely delicious! Love the poppy seeds and yogurt in here! I could eat the entire loaf all by myself in one sitting for sure!!! Cheers! Loaf cakes are the best! Love that little bit of icing and all those poppy seeds. So pretty. Oh so beautiful! It looks wintery and luscious! I love it! Pinned! Ohhhh… yes please! This looks like everything I love! So pretty too, definitely 5-stars!